Posted on May 24, 2018 at 12:05 pm. Over the last 20 years, Major has continuously worked to evolve the growing demand of quality training, which offers more flexible options for trade schools. With the addition of Certificate III in Electrotechnology, Major has made a significant investment in ensuring their training facility has modern, state of the art equipment & resources to ensure their students get the best hands on real world experiences. Major is excited to have signed their first apprentice Nick Brown with Wood for the new Certificate III in Electrotechnology. Wood is a global service provider delivering comprehensive services to customers across the complete life cycle of assets. From working across a range of energy, process and utility markets, Wood has a long history providing maintenance and project services across 60 countries. 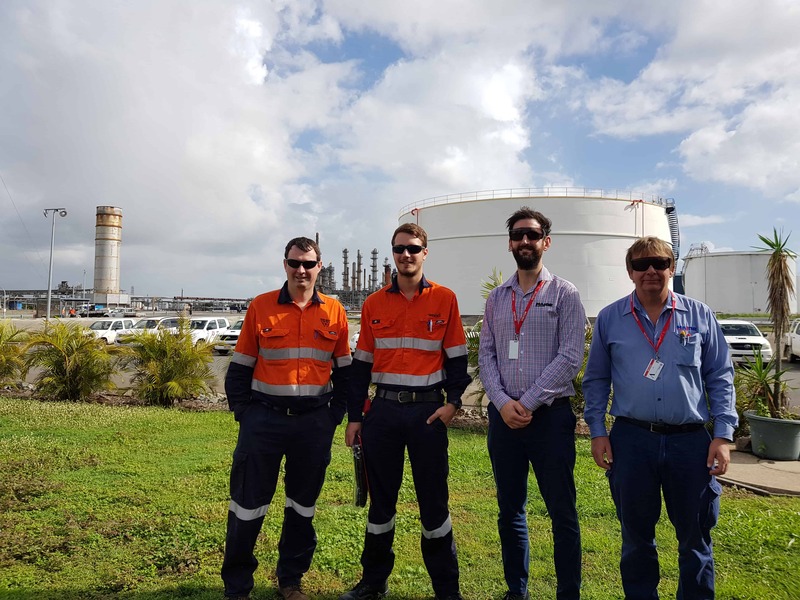 Wood were pleased to give Nick the opportunity to commence his electrical apprenticeship, working at an oil and gas site in Brisbane which the company have a long standing contract delivering maintenance and project services. Sasha Carter from Wood People and Organisation Business Partner, has expressed their excitement to watch Nick grow and develop over the next few years. Nick has said that electronics and how things worked have always been an interest of his. With a background in a number of different trade industries, Nick found himself wanting to branch out of residential trades and head into a more industrial workforce. In doing so Nick was pleased when he managed to get his foot in originally starting with the warehousing team with Wood. Initially being employed as a store person, Nick’s outstanding work ethic and can do attitude did not go unnoticed. When aware of Nick’s goal and passion in the electrical industry, the decision was made to sign him into the electrical apprenticeship. “I am a very technically minded person and enjoy problem solving, brain work, as well as having great manual handling skills. I feel Electrotechnology is a mixture of both, and I love the constant challenge”, Nick said. Major and Wood are excited to follow Nick’s journey throughout his apprenticeship and can’t wait to see this passionate individual grow and develop over the coming years. If you’re looking into apprenticeship or any more information regarding the Certificate III in Electrotechnology, Major is here to help. Contact us on 07 3489 7733 or 1300 790 822.